derma e products offer the best natural ingredients and the latest cutting-edge science. 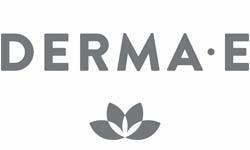 derma e is passionate about a future with healthier skin, a healthier environment and a healthier world. To respect our skin, every derma e product is paraben-free, GMO-free, gluten-free, sodium lauryl sulfate-free, mineral oil-free and lanolin-free. To respect our animal friends, every derma e formula is 100% vegan and cruelty-free. Finished formulas are never tested on animals. To respect our environment, derma e products are made with recyclable material, and we offset 100% of our electrical usage with wind energy certificates. To respect our world, derma e actively volunteers and supports the humanitarian organizations, animal welfare and land conservation programs that are near and dear to our hearts, including Special Olympics, Meet Each Need with Dignity (MEND), the World Wildlife Fund and Polaris Project. A percentage of all derma e product sales is donated to The Paraguay Project, a non-profit program we established to aid the disadvantaged people, rainforest and land of Paraguay. I got this along with the conditioner, and my scalp is not quite as dry. So far this cream has been wonderful. It is great for my sensitive skin and smells like fresh orange. So far so good!